Bookings are normally accepted for Monday to Friday (4 nights) or Friday to Monday (3 nights). In the peak summer holidays, bookings run from Saturday to Saturday for 7 nights. If you would like to join two short breaks together for a longer stay, then the total price of the stays added together is discounted by £50. We may occasionally be able to offer different lengths of stay, so please contact us if you have any alternative requirements. Arrival time is from 3pm, and we ask that all our guests leave by 10am on the day of departure. A deposit of £100 is required to secure a booking, with the balance due 4 weeks prior to arrival. If a booking is made for a holiday less than 6 weeks away, then the full payment is due at the time of booking. You’re welcome to come and stay in our privately rented, luxury lodge for quality time with family and friends. Our lodge is fully central heated and boasts 3 bedrooms (one master double room with lake view, with TV, ample storage space and dressing table and jack and jill ensuite containing shower, bath and toilet, one twin room, and one with 2ft 6 twin beds – both with full sized wardrobes and bedside tables, and an additional toilet / wash basin. All bedding and towels are provided. The kitchen is fully equipped with a four ring gas hob, electric grill and oven, kettle, toaster, microwave oven, full sized fridge freezer and dishwasher. All pots, pans cutlery and crockery are included, including a slow cooker and all-essential bottle openers. The dining area has comfy leather chairs. The spacious, open plan living area contains 2 large comfy leather sofas, large screen TV (freeview channels, including Sky Sports channels 1 & 3) / DVD / blu-ray with ipod docking music system (with a selection of music / DVDs and CDs to enjoy) and a large coffee table suitable for games, (selection of games provided) colouring or plenty of drinks and nibbles! There is a feature fire place with log burning effect. The living area has double patio doors that open on to a large secure decking area, which overlooks the lake and marina – the gate makes this ideal for toddlers and dogs. There is patio furniture for 6 to help enjoy the outdoor life, and private parking space at the side of the lodge. The luxury Holiday Park has its own indoor heated swimming pool, gym, sauna, jacuzzi and steam room which require a pass to enter. The pass is a one off payment of £15 for the entire family and lasts for the full duration of your holiday. The pass is optional and can be purchased at the reception office if required. There is free Wi-Fi across the site. It is just a gentle five minutes stroll to the site facilities which also include a restaurant, bar amusements and a small shop. 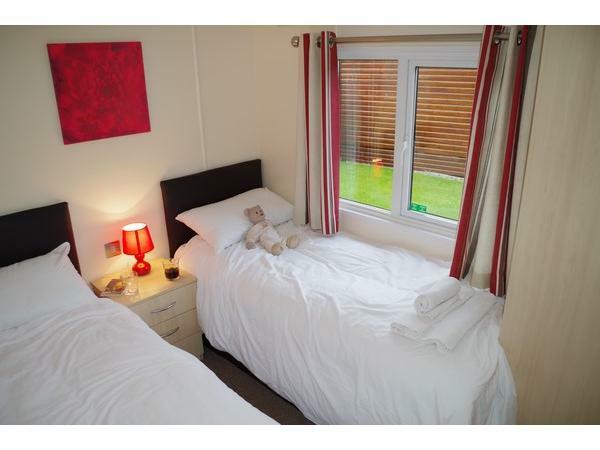 There are 2 children’s play areas, multi-use games area, woodland dog-walk, beer garden and laundrette. There is an excellent children’s staffed activity centre. The quiet roads onsite are ideal for cycling. 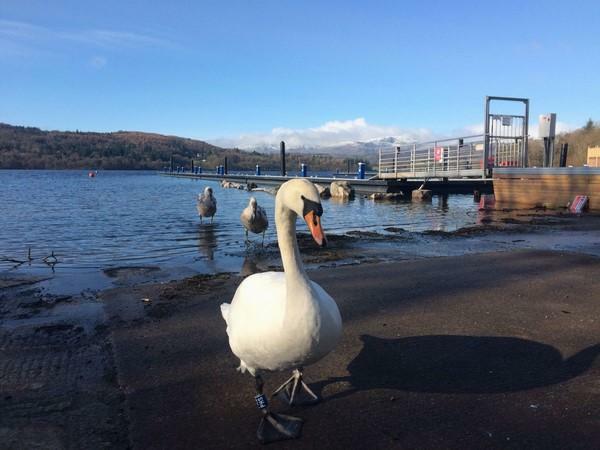 Adjacent to the lodge is the marina and large grassed picnic area on the shore of Lake Windermere, where there are always plenty of ducks and swans to feed. 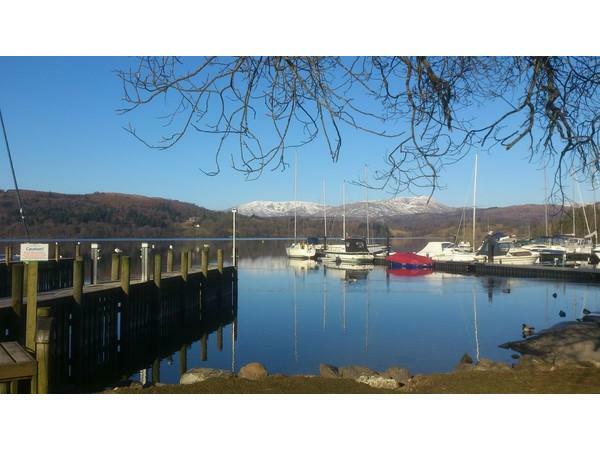 The Holiday Park is ideally situated between the bustling and picturesque towns of Ambleside and Bowness, and within walking distance of Brockholes Lake District visitor centre, with its tree top trek aerial adventure, adventure playgrounds, café and ferry pier. There is a highly recommended restaurant and a Spar shop within one mile. Myself and my wife stayed at this lodge for our mini-moon following our wedding day. The lodge was extremely clean and comfortable. It was full of personal touches and I formation from the family who own it. It was perfect for our dog with an enclosed decking area and perfect location in the park near the lakeside and wooded area. Helen, John and Phoebe made sure that the welcome pack was very informative and also had their personal suggestions and honesty on local prices and produce. There was also games and DVDs to keep you entertained. We will definitely be returning after a great stay and recommend it to all types of families and couples all ages. Thank you! We enjoyed a fabulous half term break at Lake View Lodge with our 2 children and our dog. 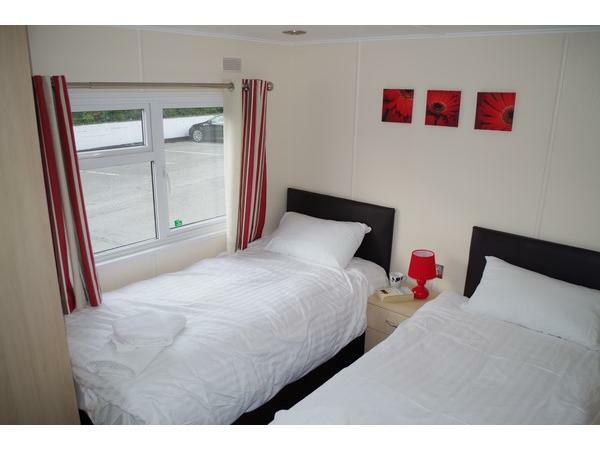 The lodge is spacious and cosy; very clean and stylish. Everything is available to ensure we had a comfortable stay; central heating is very efficient, good showers, kitchen is well equipped, lots of storage space in all rooms and plenty of bedding and towels. The lodge is situated close to the lake and we enjoyed beautiful sunrises and sunsets. We found the information folder really helpful and the chocolates and Prosecco was a lovely welcome present. We hope to book again very soon. 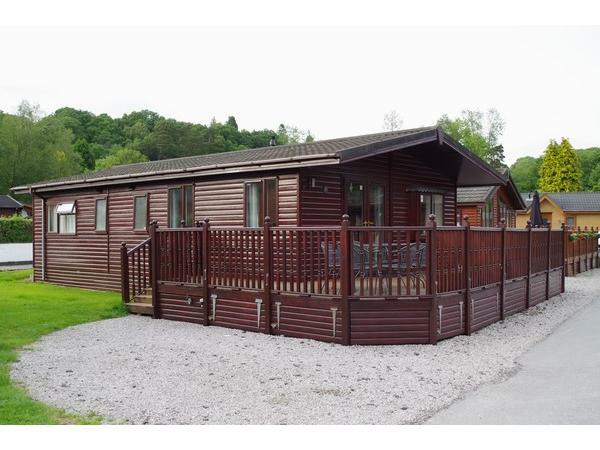 Beautiful lodge overlooking lake Windermere, modern clean & comfortable, . Great accommodation. Plenty to do in the local area & good facilities on site, swimming pool, spa, good food & entertainment. Brilliant Communication with owners, would definitely recommend. We spent a week with our five young children and our family dog, lovely lodge and very homely, very clean everything you need and comfortable. So relaxing after a day trip out, thank's to the information folder. We highly recommend this lodge, you will not be disappointed. On behalf of a family of 4 adults, 2 children and 2 dogs, I would like to thank you for our "holiday escape" to Lake View Lodge. 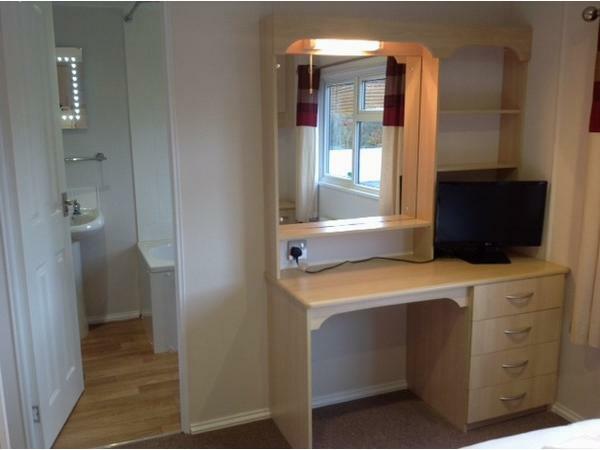 This holiday home had beautiful views from the main bedroom. A woodland walk provided much needed exercise for our boxer and labrador dogs. Our 2 girls, aged 5 and 8, enjoyed scenic walks and paddles in their water proof clothing, with a choice of local walks. 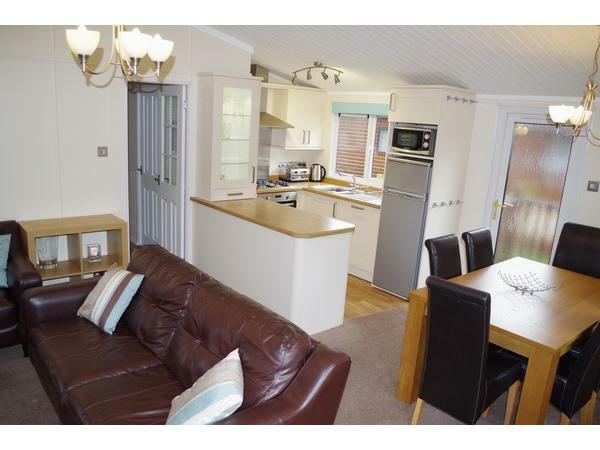 This lodge was homely, spacious and ideal for a large family. We had plenty of entertainment- including a choice of DVDs and family games. A wide range of books were provided in the main bedroom. Our family prepared food within the lodge, and benefitted from a dishwasher to save much valued family time! We enjoyed a relaxing and quiet holiday, for all to enjoy. We particularly enjoyed "movies under the stars" by the lake and feeding the swans (frequently waiting outside the lodge!) Upon arrival, we were greeted by a bottle of proseseco and a box of chocolates- a lovely touch to the holiday! And much needed after over two hours of driving. I would highly recommend this lodge to anyone planning a trip to the lakes. Indeed, we have already recommended Lake View Lodge to our family and friends. We cannot praise this holiday enough! We had a lovely weekend. The lodge was all we wanted and more. Thank you for the wine and chocolates a lovely start! Could have stayed longer, very easily. Everything you need is there, just bring you, your clothes and toiletries. There is even a hairdryer! Very clean. Beds are so comfortable, bedding fab. Lots of room. Right by the lake, you can see it from double bedroom, lovely to wake up to. You can also see the lake from the lounge and deck area. Easy to book and check in and out. Thank you for the information folder, very helpful. There is something for everyone to do in the area. We will be back, really love the lodge and it's position is very good. Central heating and double glazed so any time would be good to visit. Penny our miniature schnauzer enjoyed her holiday as well! Thank you. Just returned from a fantastic week at the lodge. We thoroughly enjoyed it, could easily have stayed another week! The lodge is on one of the best spots of the park, quiet but close enough to the marina and facilities.Lovely touch of wine and chocolates on arrival. The lodge had everything you could possibly need, the games came in very handy. Kids loved a game of cards and roulette every night. We look forward to returning again next year. Lodge in ideal position. Home from home. Wish we stayed longer. Good value for money. Enjoyed the wine and chocs . Had a great stay in a fabulous location. 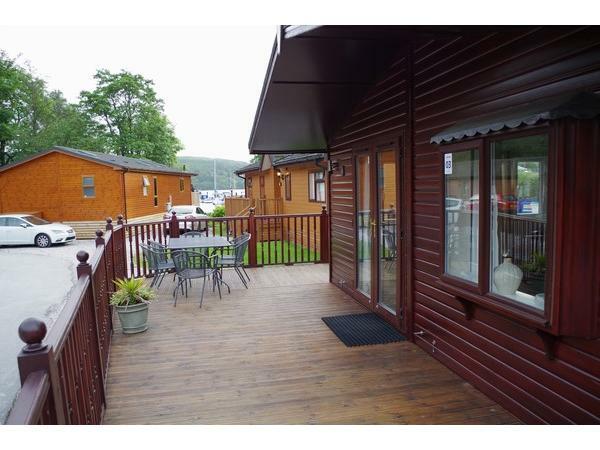 The lodge was found so clean , modern , airy and relaxing , lots of space inside and on the outside decking. Great kitchen with everything you need. Even a bottle of Prosecco and some chocolates on arrival - Excellent. 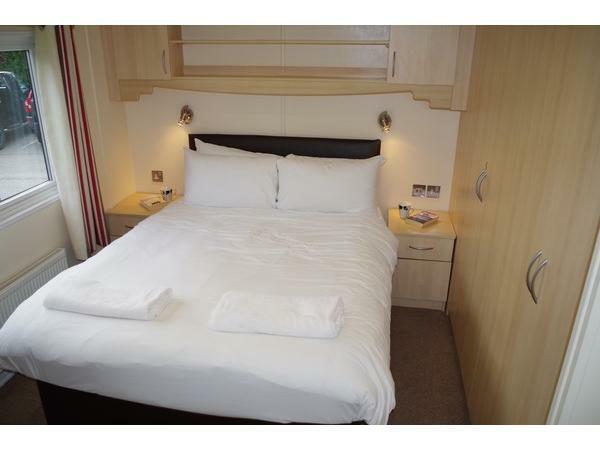 A geat location for touring the Lake district , or just relaxing so close to the lake. Would definitely recommend it 100%. We stayed at this lovely lodge with our dog .It is clean and very comfortable in a great position on the park.We enjoyed a lovely view of the lake on the balcony with a glass or two of wine.Our dog loved his paddle in the lake every day. There was nothing else we could have asked for and would recommend this lodge and site. Spent 4 nights here over February half term with my wife, son and 2 dogs. The location of the lodge to the main club house and the lake was fantastic. The facilities and equipment provided in the lodge included everything you could need plus more! The size of the property was more than enough for our holiday but it would easily accommodate 6 guests. The owner even left some chocolates and a bottle of wine as an added little treat. I would definitely stay here again. Lovely lodge, spotless, everything needed to make our stay enjoyable. Would definitely recommend to friends and family. Booked at the very last minute and arrived to a spotlessly clean lodge with all amenities and requirements in place. We couldn't have asked for more, the location is excellent both within the park and the ease to get out and explore. A real home from home. We had a very relaxing weekend and will definitely book again in the future. 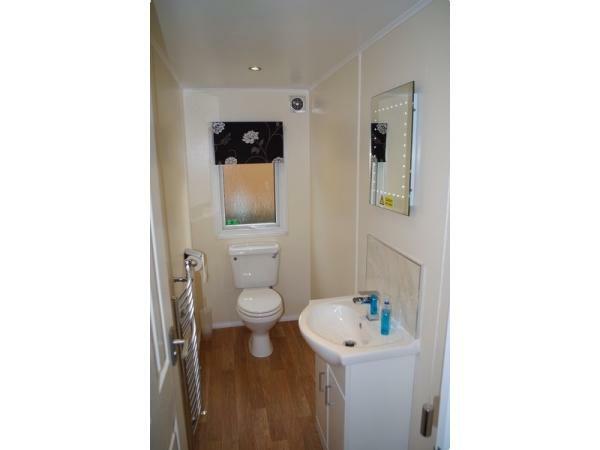 Book with confidence, you would need to be very finicky to find any issues. 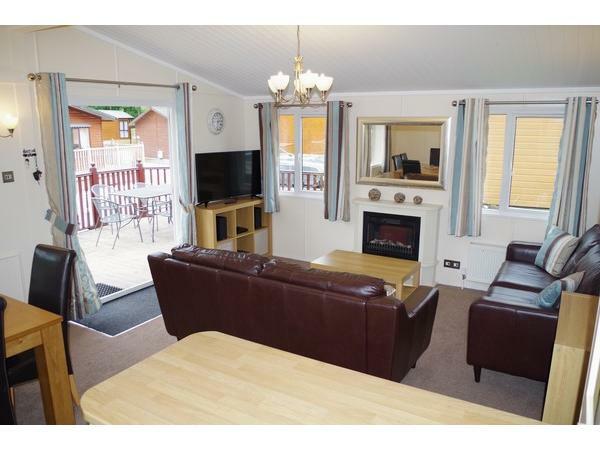 The lodge is a very good size and has plenty of kitchen items, lounge t.v. and hi-fi system along with secure outdoor area. 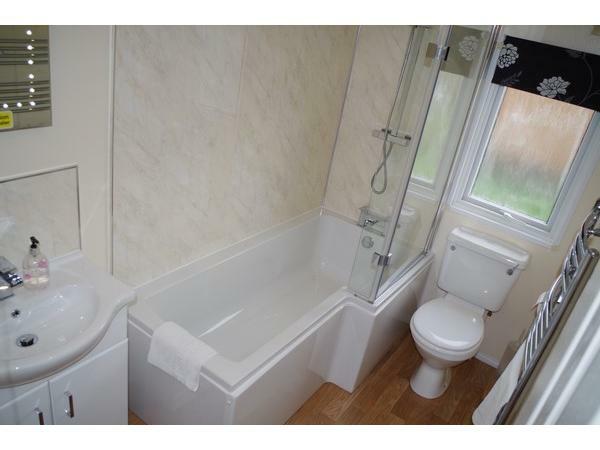 It is very clean and well looked after and situated in an extremely good location for getting around the Lake District. We will be very happy to arrange another stay at this lodge.